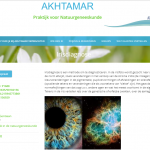 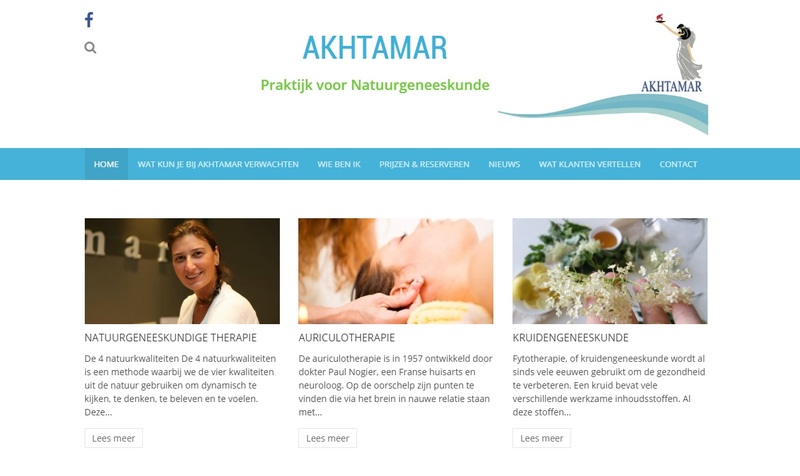 Website of Akhtamar – a practice for Naturopathy specialized in naturopathic treatments, iris diagnosis, herbal medicine, auriculotherapy, nasal reflex massage. 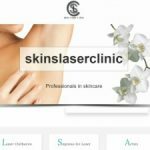 The website contains information of rates, all contact details, secure SSL connection. 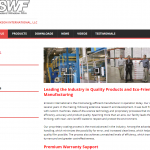 The website is SEO optimized to increase online findability. 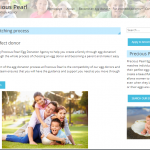 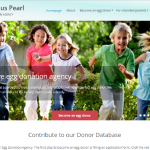 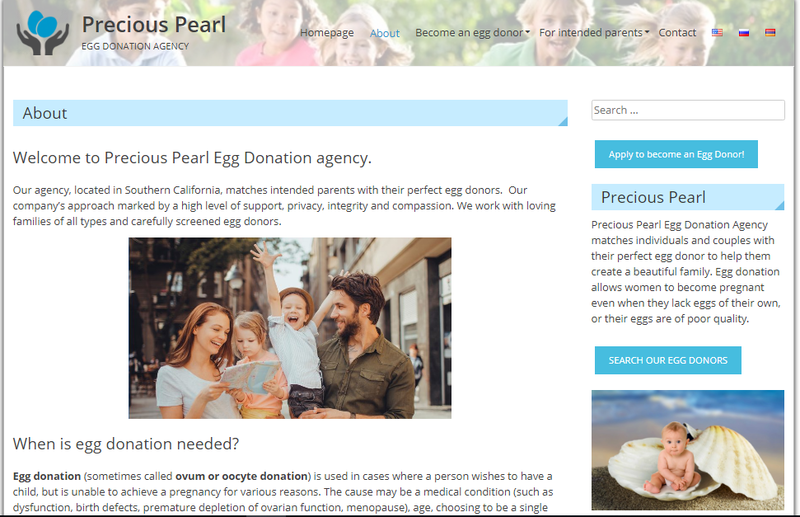 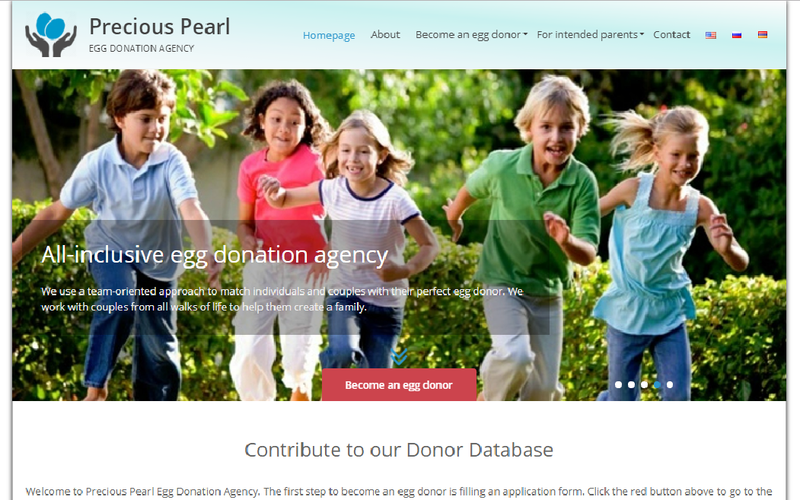 Website for an American-Armenian-Russian Egg Donation Agency. 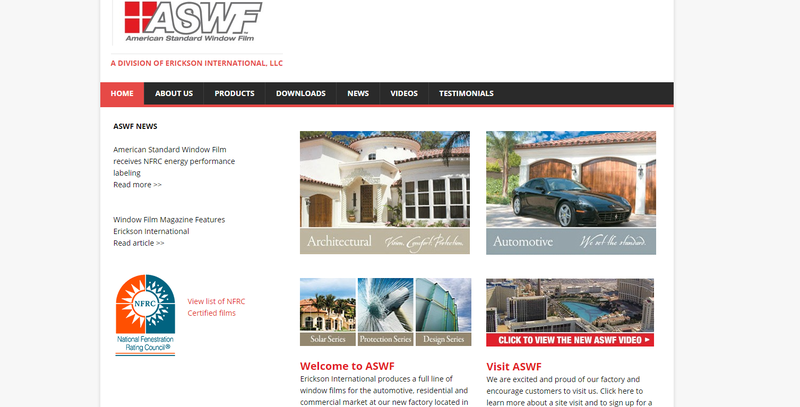 This agency is located in California, USA, but operates worldwide. 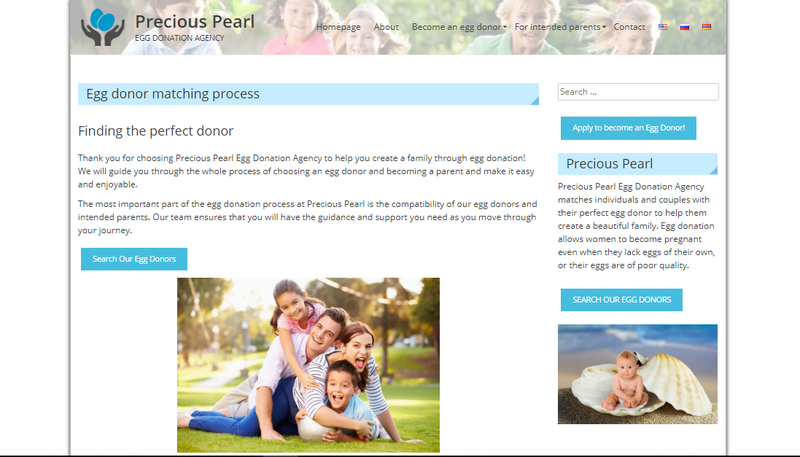 This Agency is meant to help people to fulfill their dream of becoming a parent. 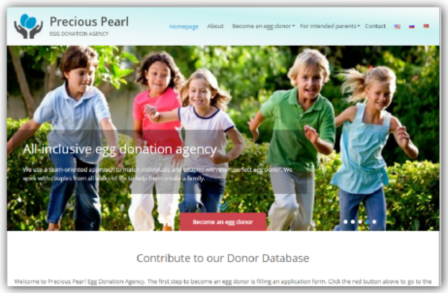 For this website has been created a donordatabase , has been installed a SSL security certificate and a module for secure user registration has been added. 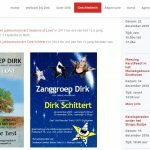 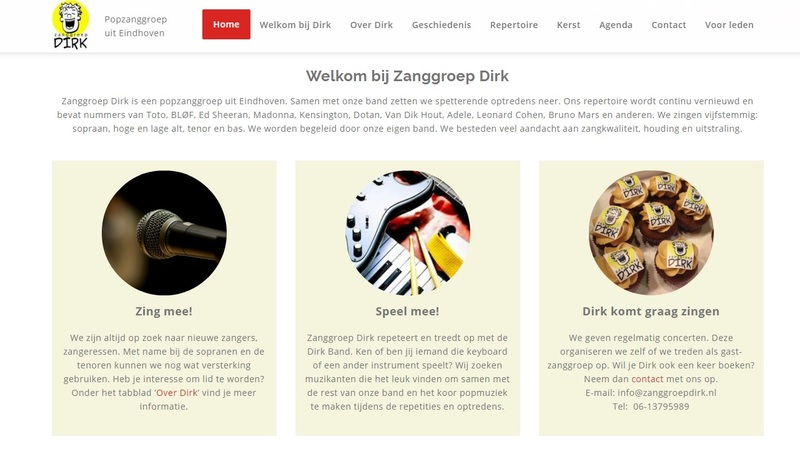 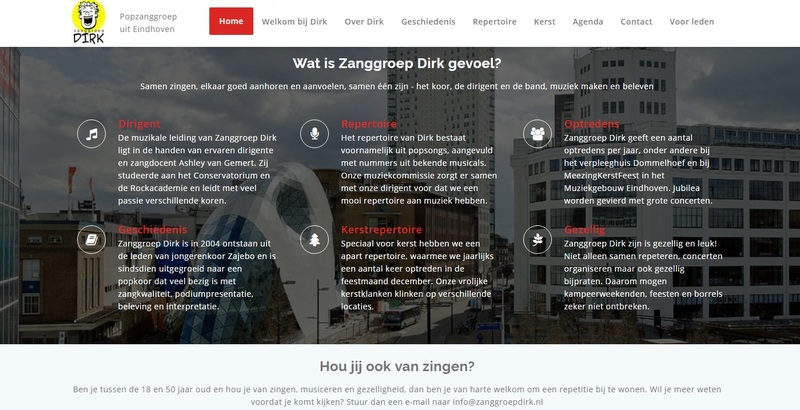 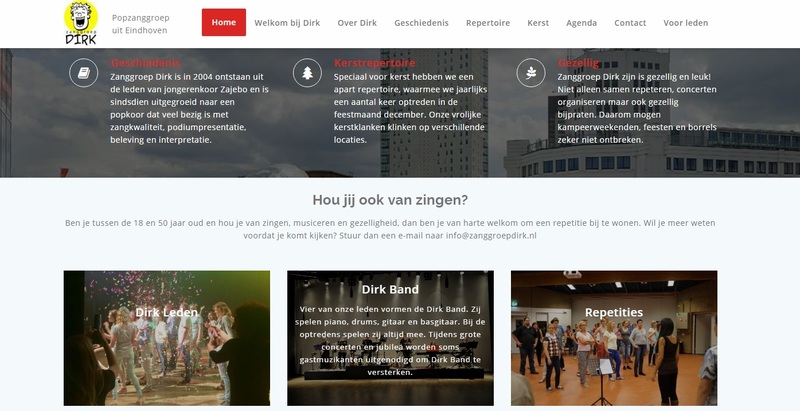 New website for Zanggroep Dirk. 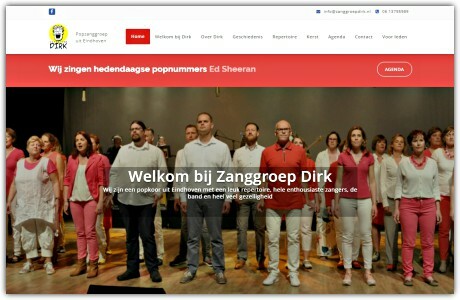 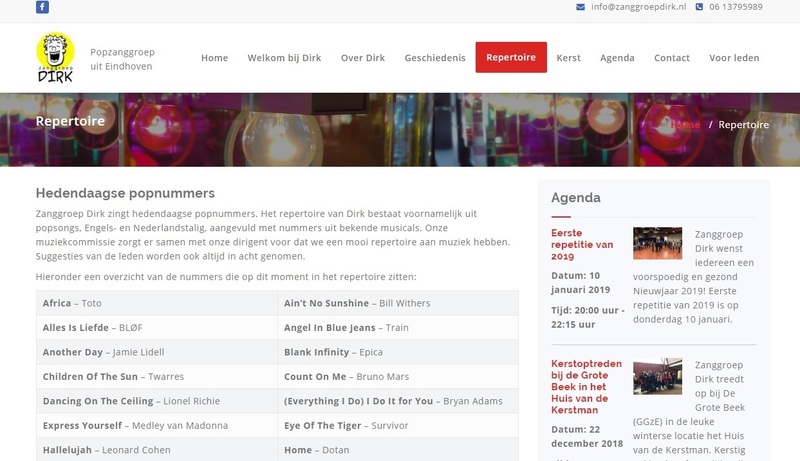 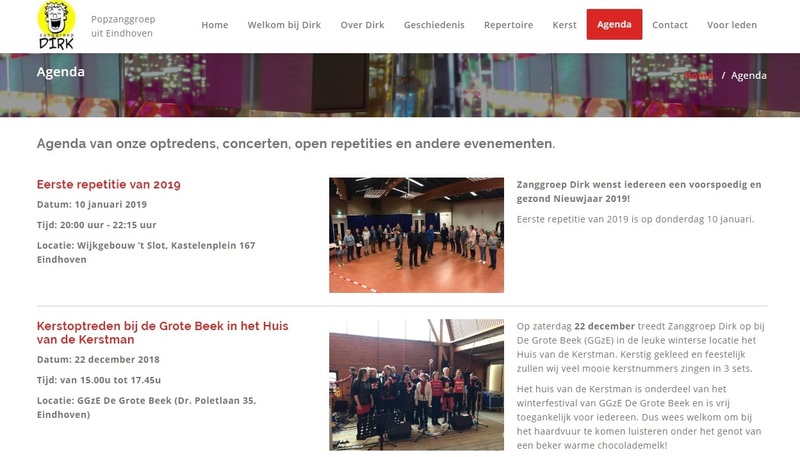 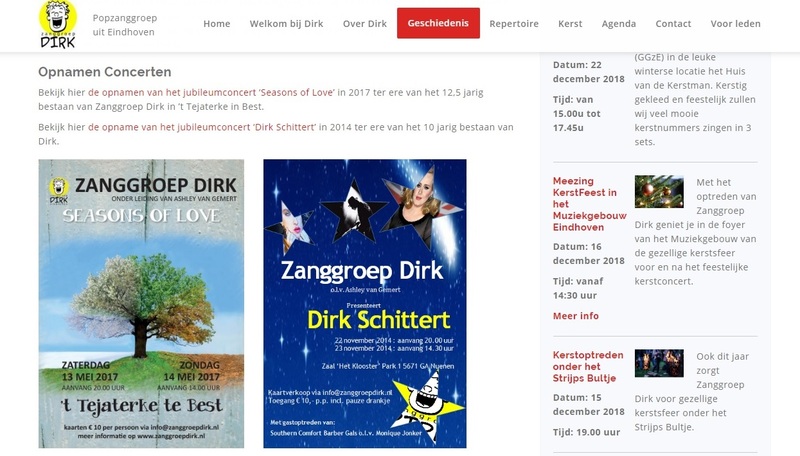 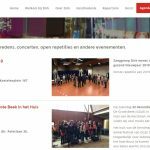 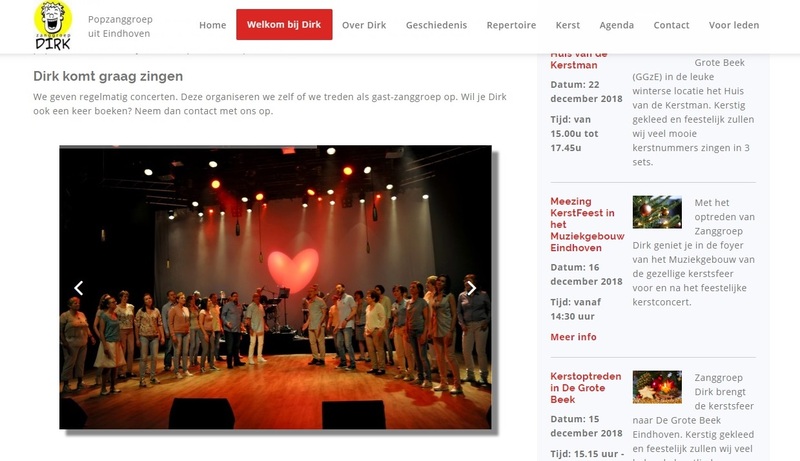 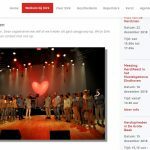 Beautiful contemporary look and presentation of the pop choir from Eindhoven with slideshow and modern homepage, repertoire overview, performances, events widget, protected members section. 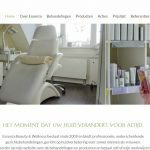 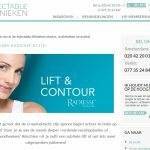 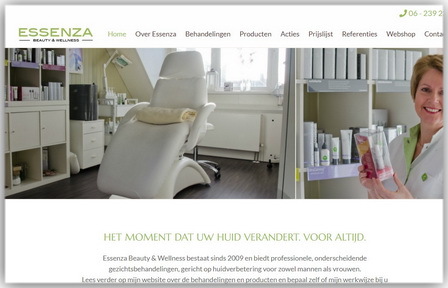 Website Essenza Beauty & Wellness – a new website made for an beauty salon and practice from Eindhoven. 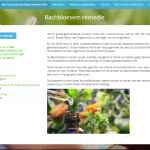 On the website you can make an appointment with Gerda, also order products from Dermalogica line. 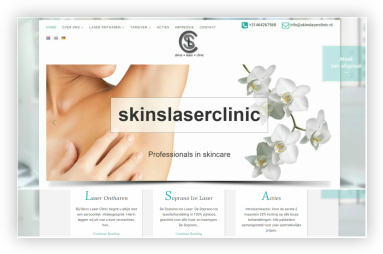 We have been able to realize all the wishes of the customer in a beautiful contemporary fresh website design. 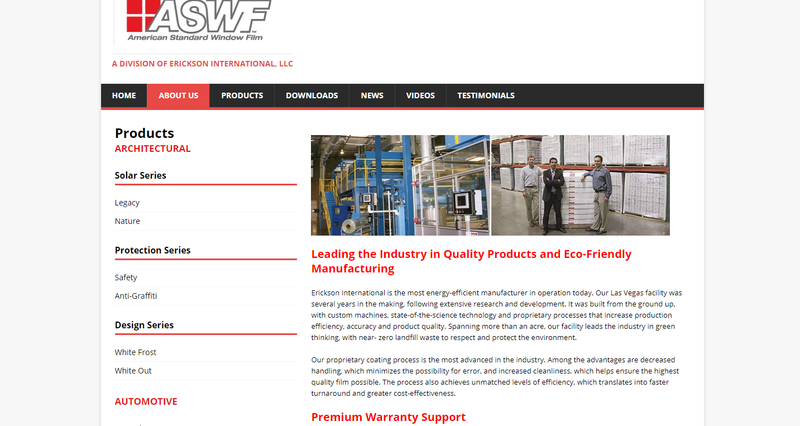 We have also optimized the website for better visibility to the search engines. 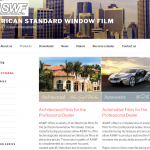 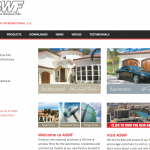 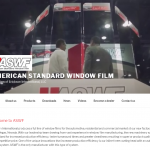 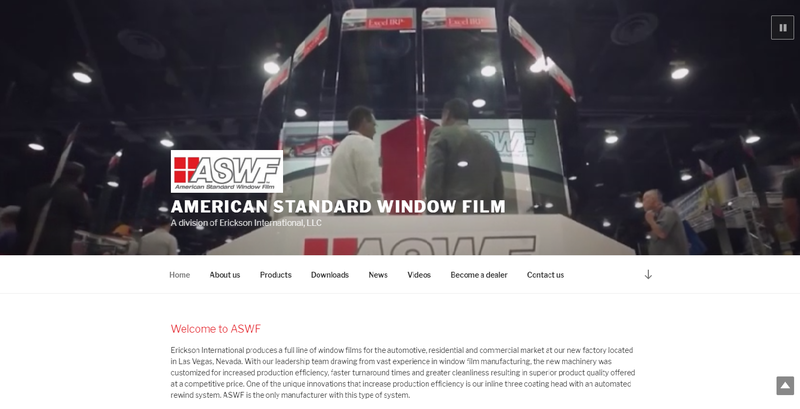 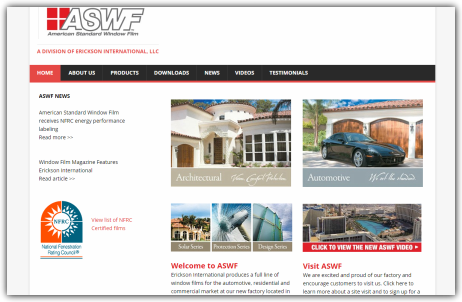 The entire ASWF website (American Standard Windows Film) has been transformed into WordPress, modernized and redesigned with a trendy video header template. 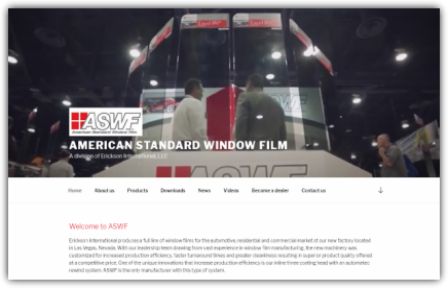 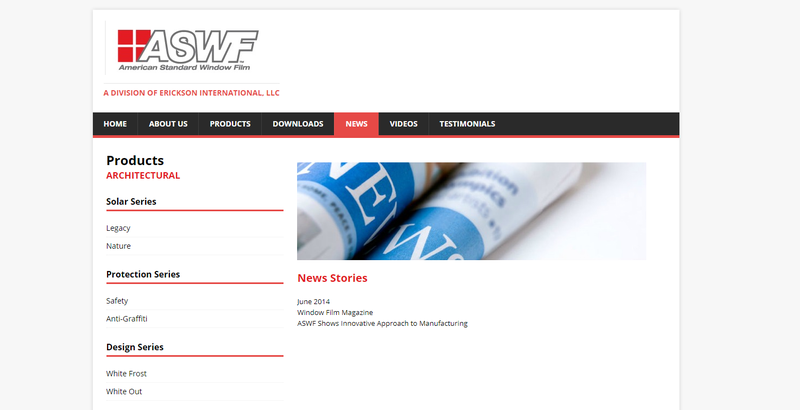 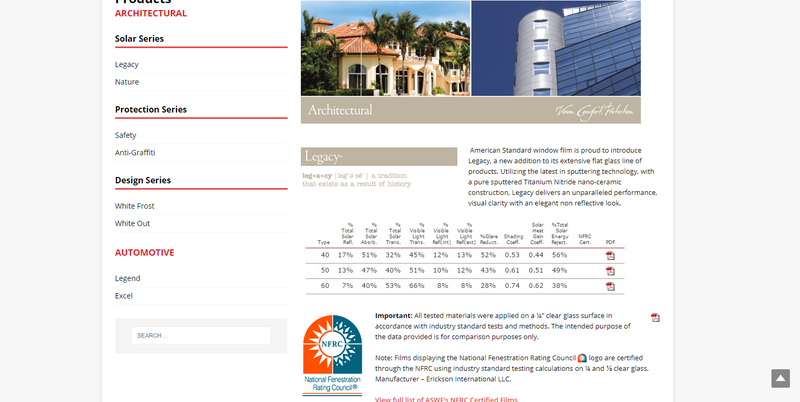 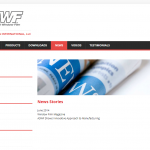 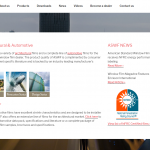 The entire ASWF website (American Standard Windows Film) has been transformed into WordPress, modernized and redesigned with news layout template. 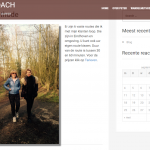 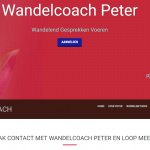 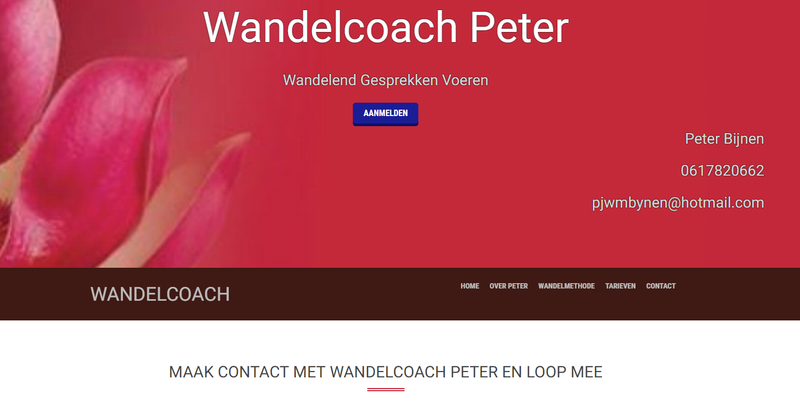 Website of the new company “Walking talks with coach Peter”. 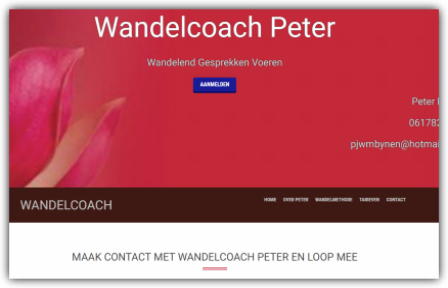 On the website you can read about the coach and sign up for a walk. 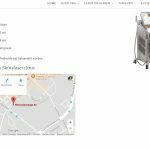 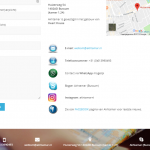 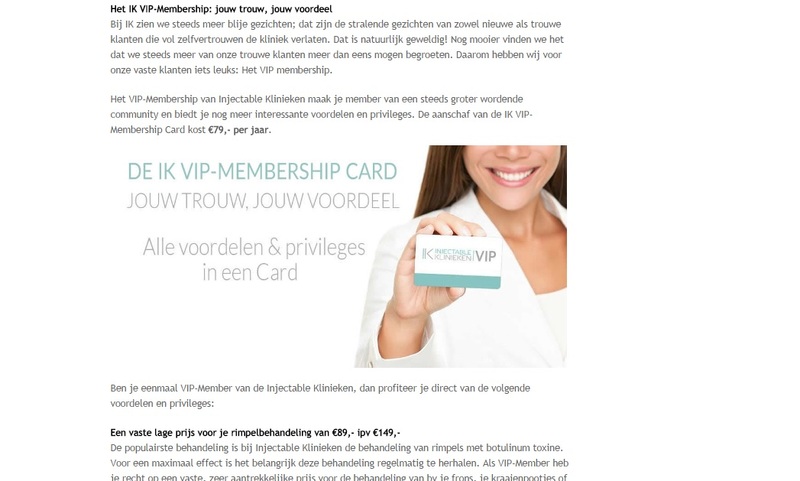 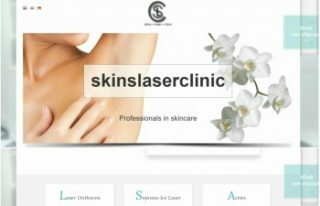 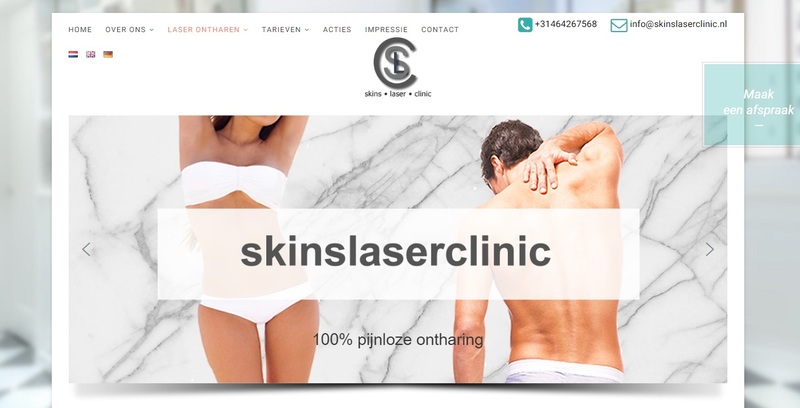 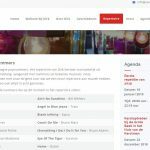 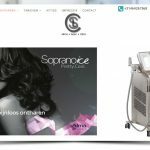 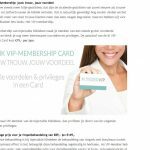 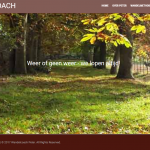 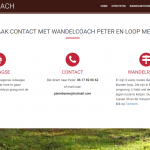 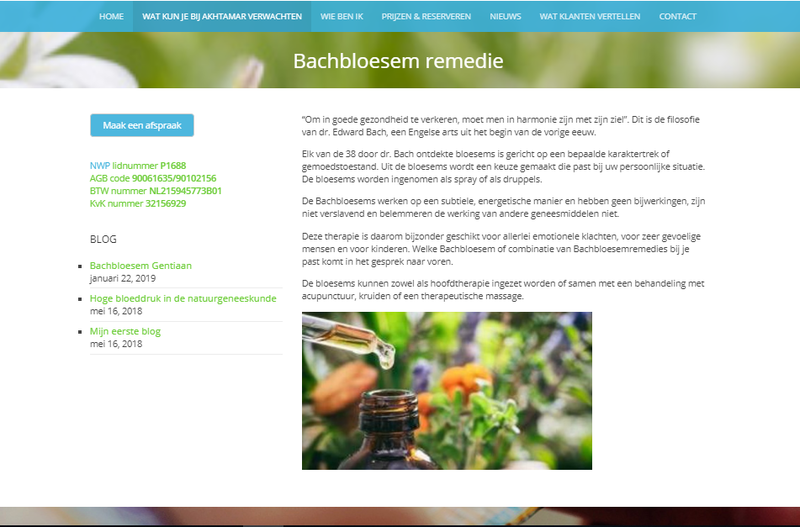 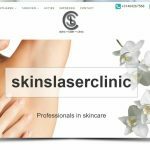 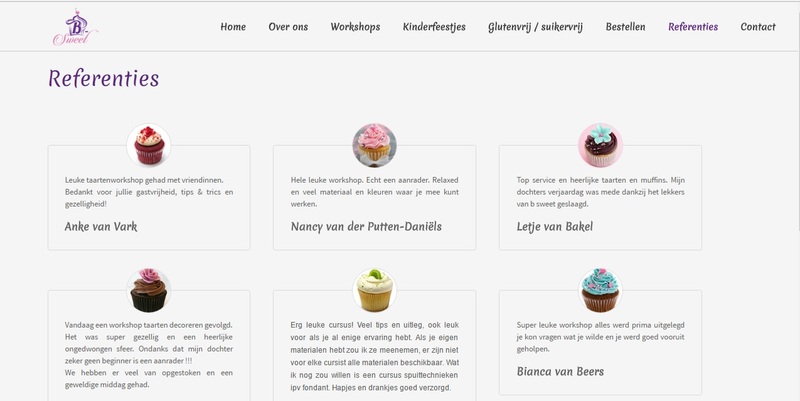 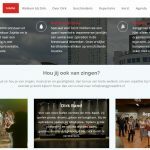 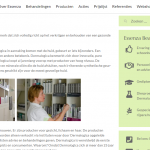 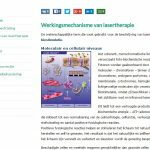 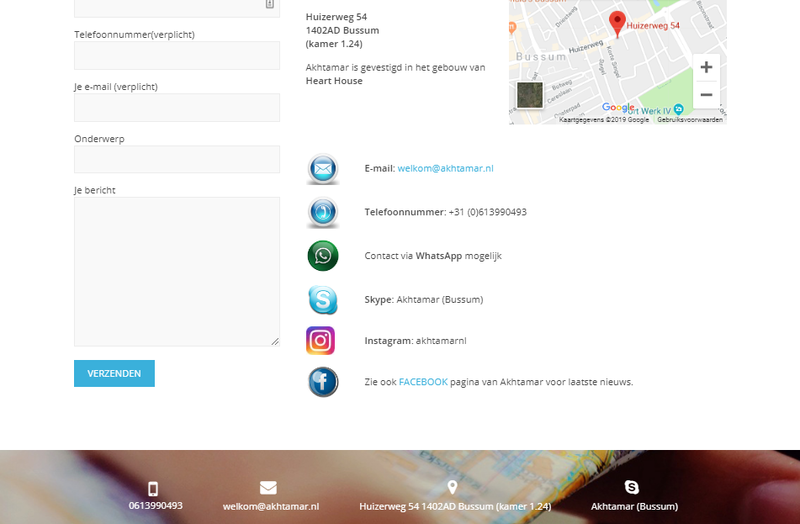 Website Skins Laser Clinic – a new clinic opened in the centre of Sittard. 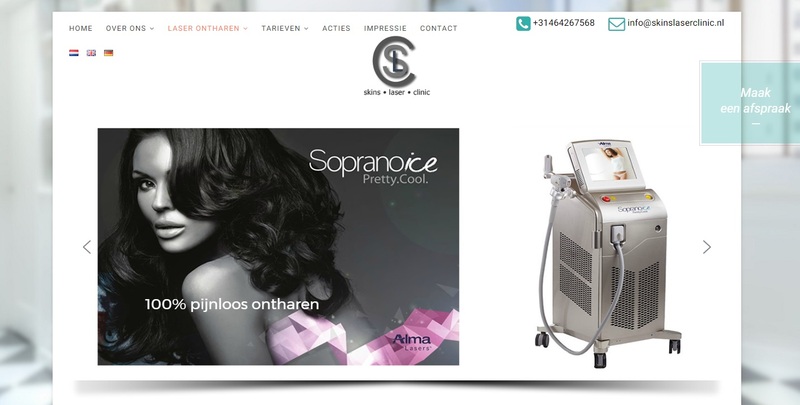 We designed and managed: a beautiful slideshow with slogans, logo of the clinic and all translations. 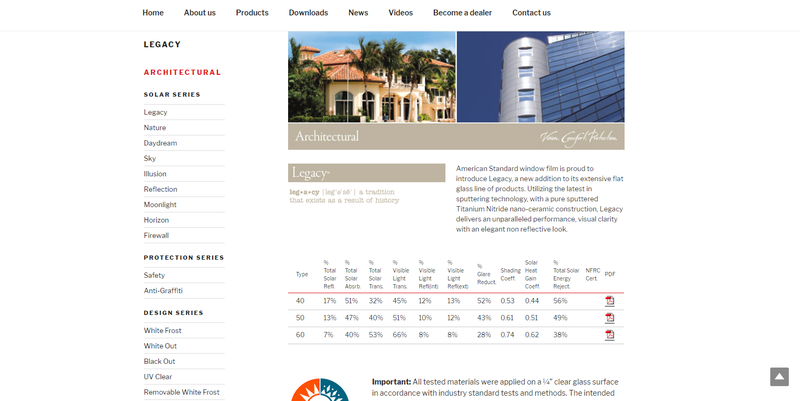 The website has a modern main page and a clear navigation. 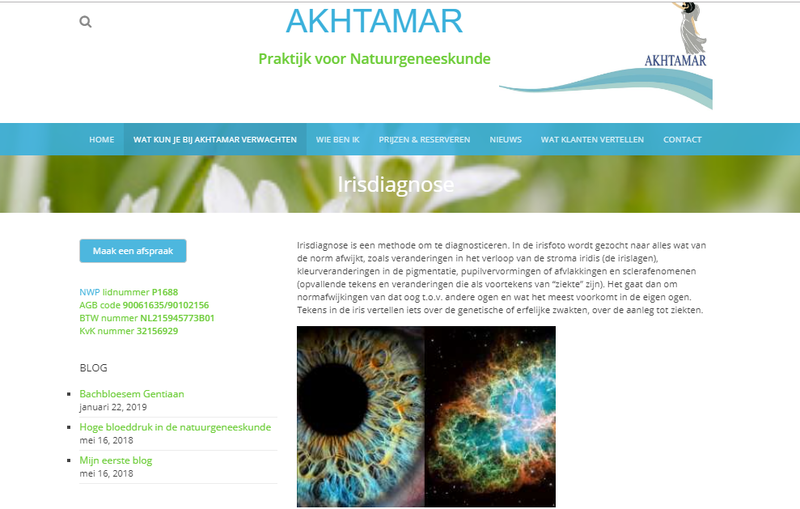 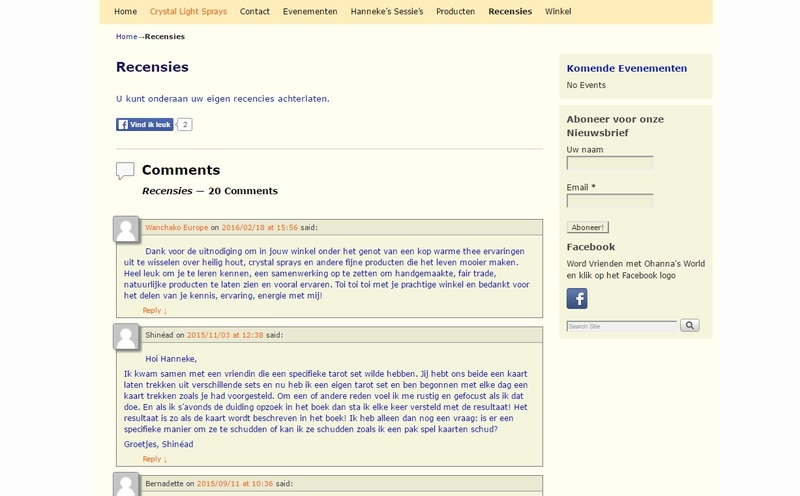 This site is made in 3 languages: Dutch, English and German. 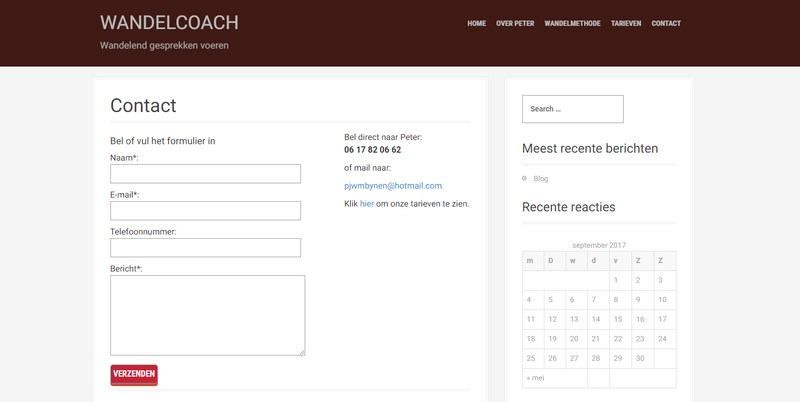 The language buttons let you easily change the language on any page. 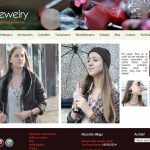 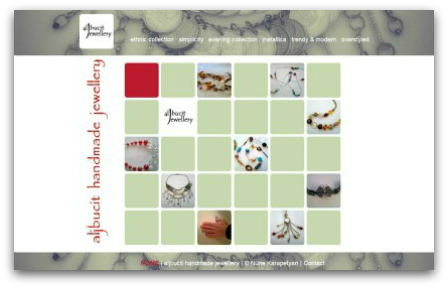 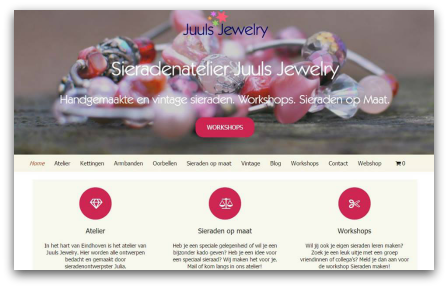 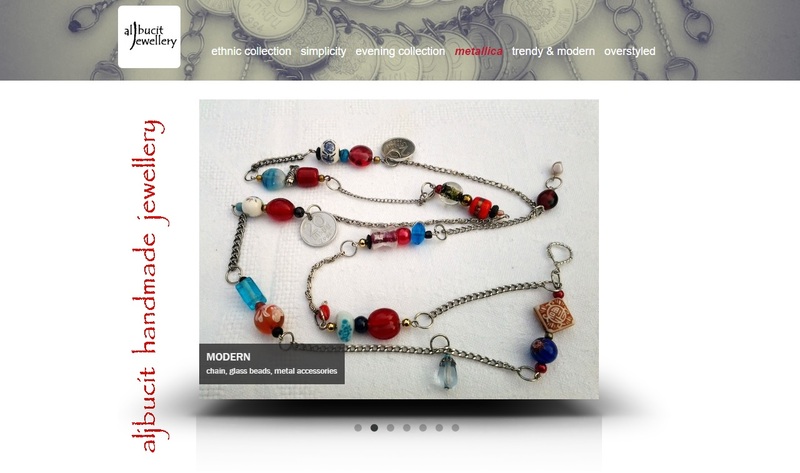 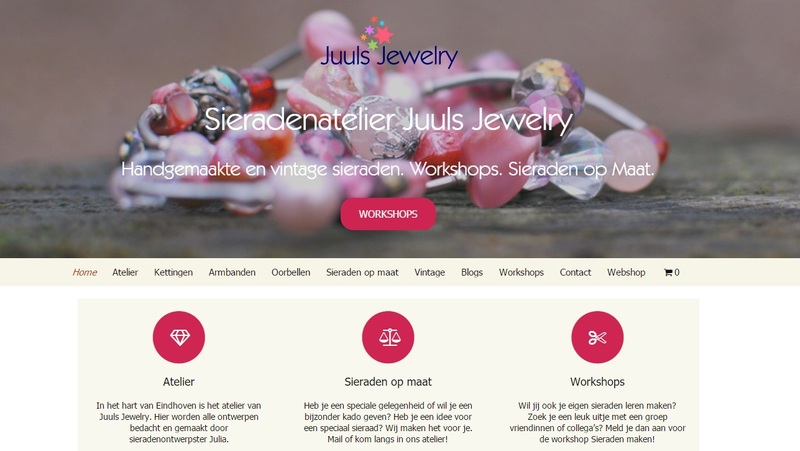 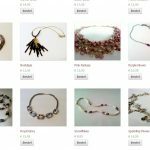 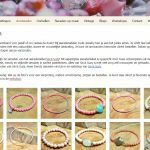 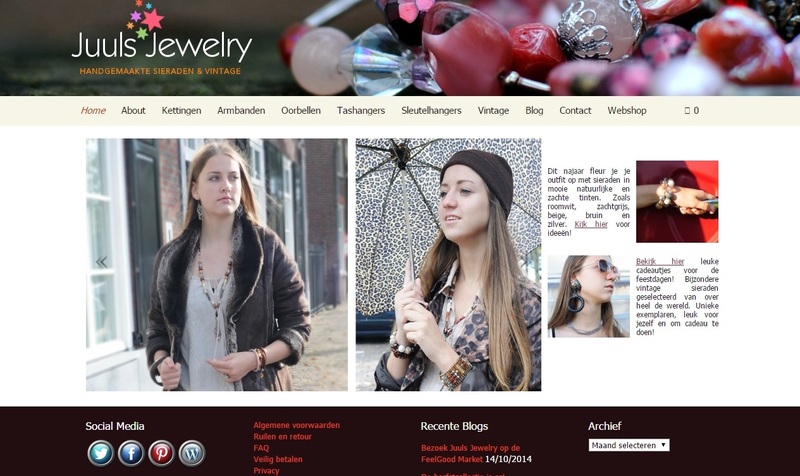 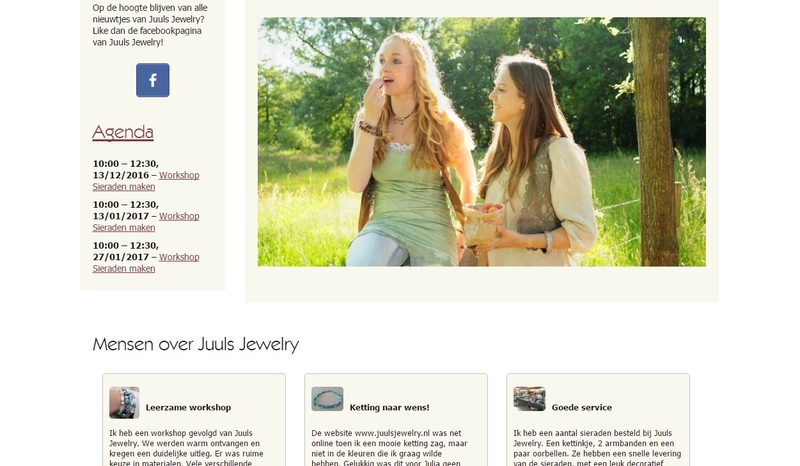 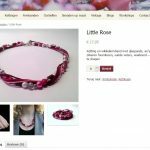 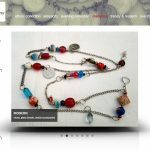 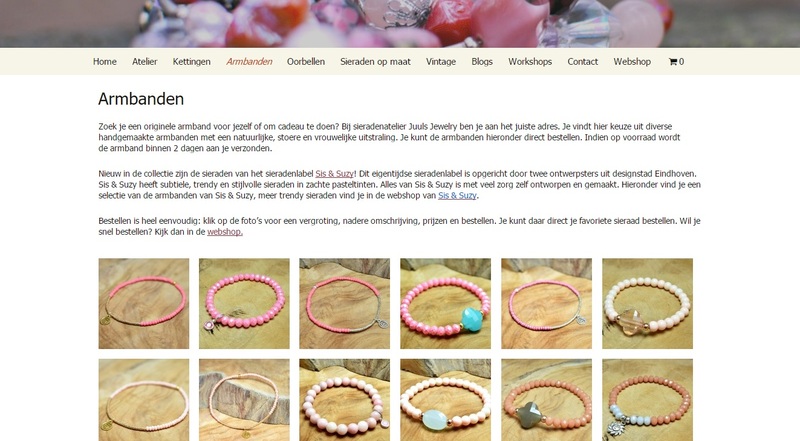 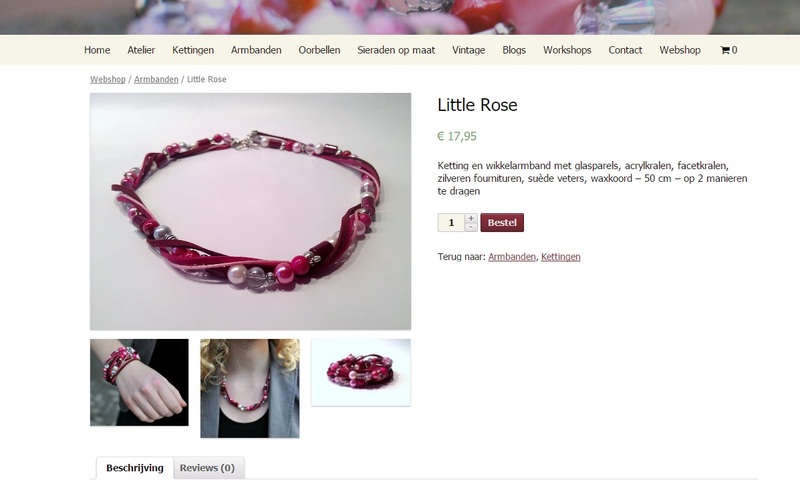 Website of handmade and vintage jewelry studio Juuls Jewelry located in Eindhoven. 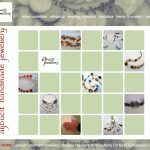 This is unique jewelry with its own style. 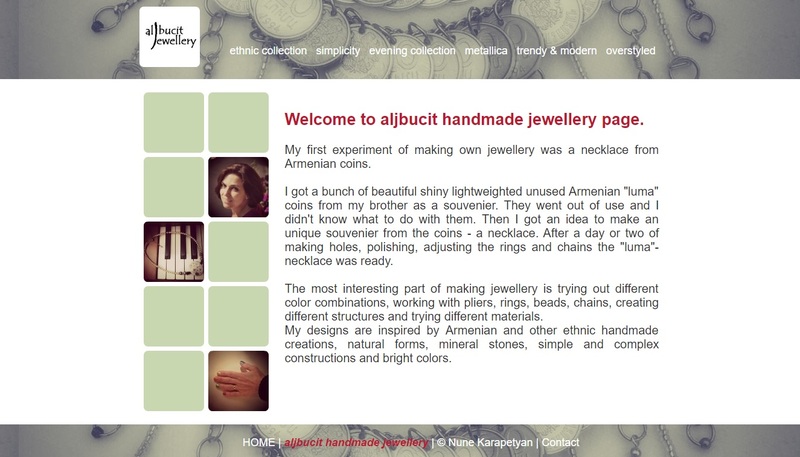 The website consists of web site, web shop and blog. 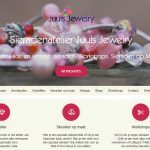 You can take a good look at the jewelry, enlarge the pictures in the foto gallery made by us and also directly order online in the web shop. 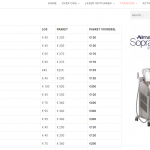 In the shop we have built in payment systems such as PayPal and MasterCard. 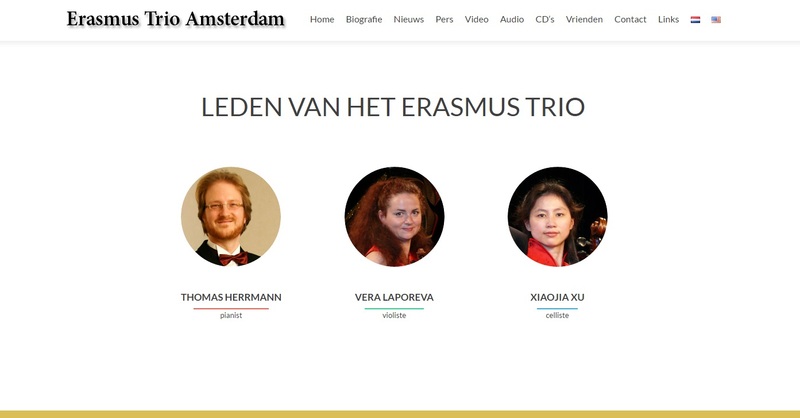 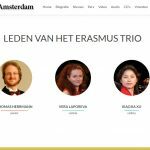 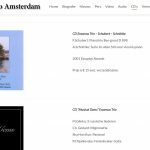 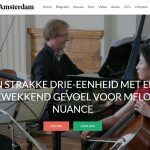 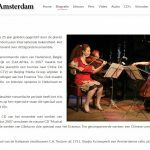 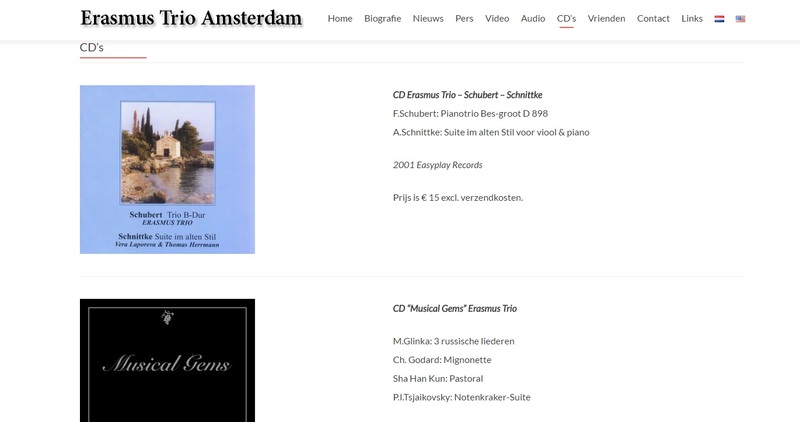 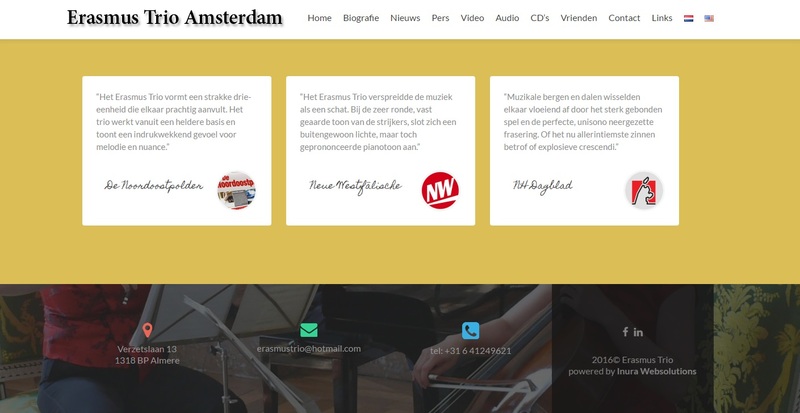 Homepage of the Erasmus Trio Amsterdam: Thomas Herrmann (piano), Vera Laporeva (violin), Xu Xiaojia (cello). 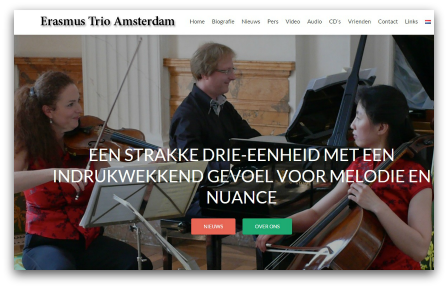 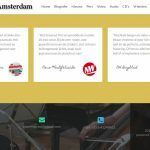 A beautiful website with multimedia elements, audio and video recordings that you can watch and listen, concert agenda and other information about the Trio and the musicians themselves. 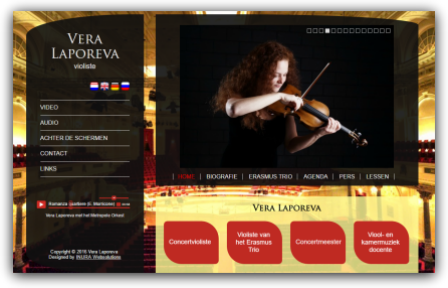 Homepage of the concert violinist, music teacher, session musician and concertmaster Vera Laporeva. 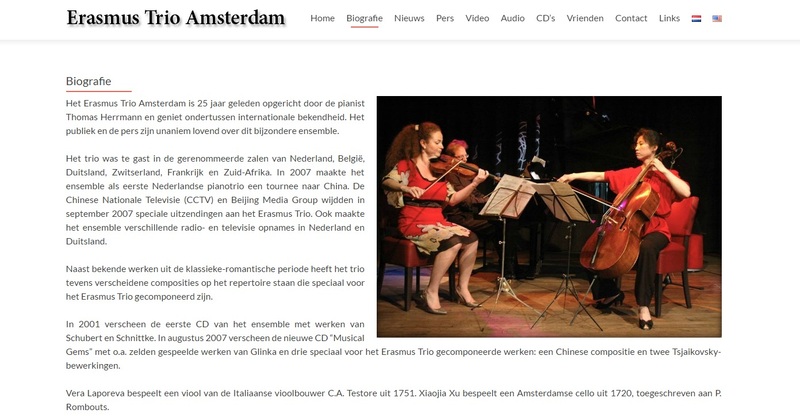 She plays in the Metropole Orchestra and at the Erasmus Trio Amsterdam. 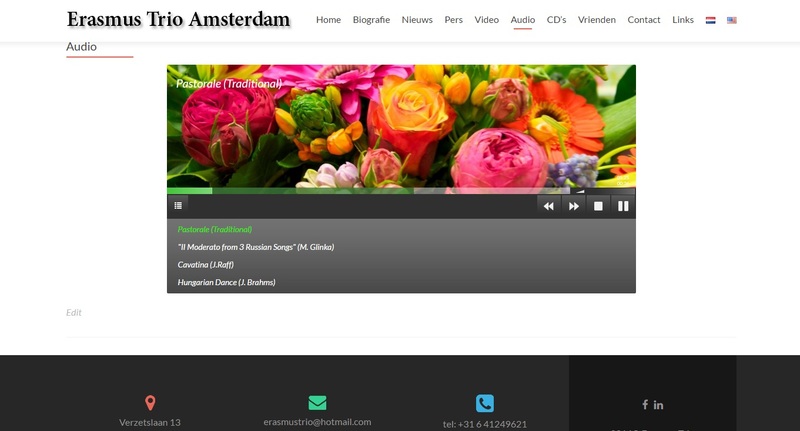 This site implements playback of audio and video recordings that visitors can listen to and watch. 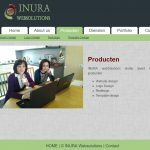 Developed in 4 languages: Dutch, English, German and Russian, it also includes a gallery of photographs taken by hobby photographer Vera. 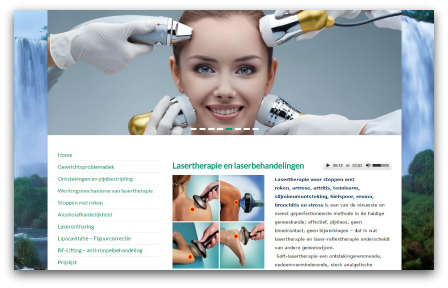 Redesign of the Laser Therapy Practice site. 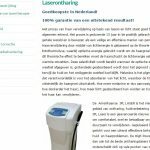 Laser therapy for quit smoking, osteoarthritis, arthritis, tennis elbow, bursitis, bone spurs, rheumatism, bronchitis and stress is one of the newest and most sophisticated methods in modern medicine. 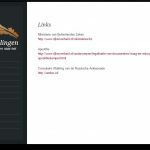 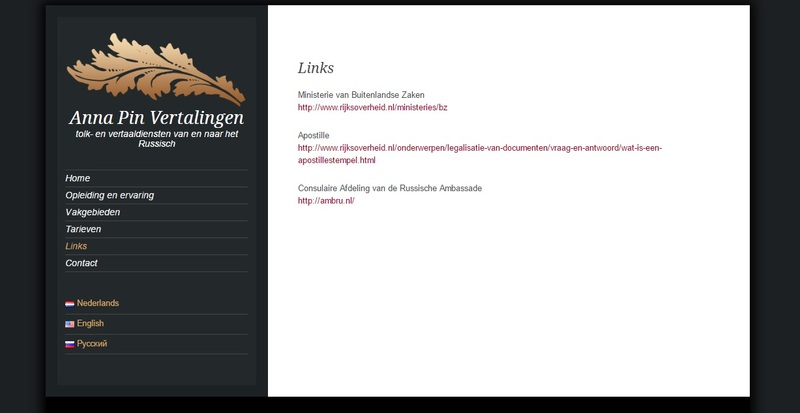 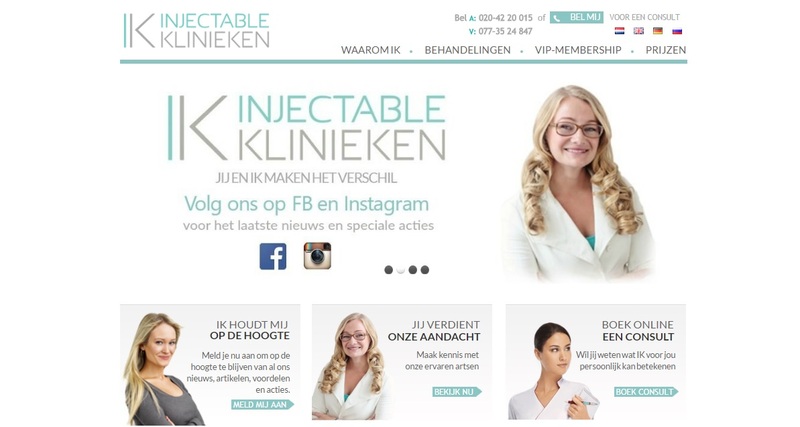 Redesign of the Injectableklinieken site. 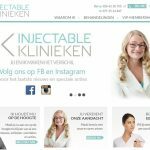 Over the years Injectable Klinieken has specialized in aesthetical facial treatments, using injectables, dermal fillers and chemical peels. 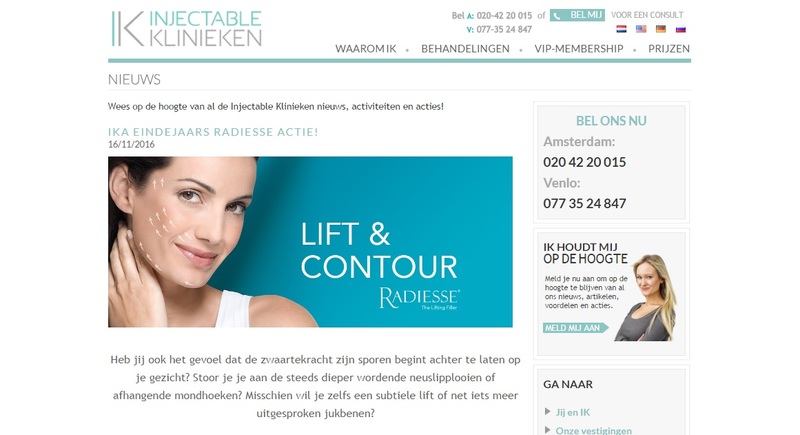 Dermal fillers are products that are injected into the skin in order to smoothen (facial) wrinkles and lines. 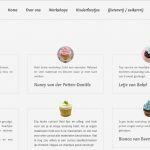 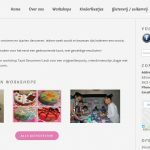 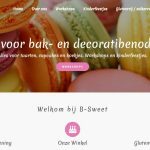 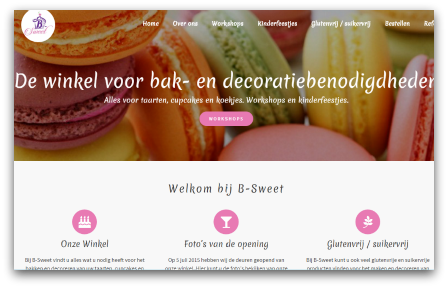 Website of B-Sweet – shop for all kinds of baking and decorating supplies. 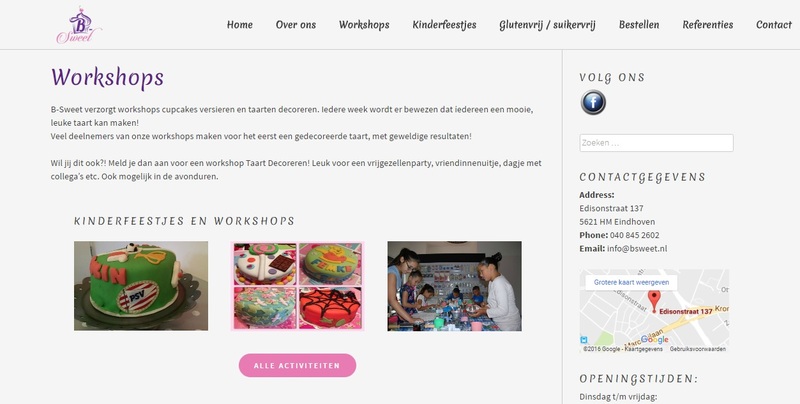 B-Sweet shop also gives workshops and organizes children parties. 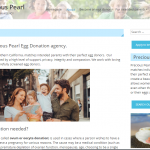 Do you have a special occasion: reception, birth or birthday? 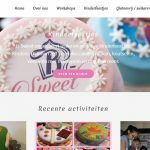 Through this site customers can make appointments for workshops and children parties, put orders for themed cakes and cupcakes, view photos of beautiful creations. 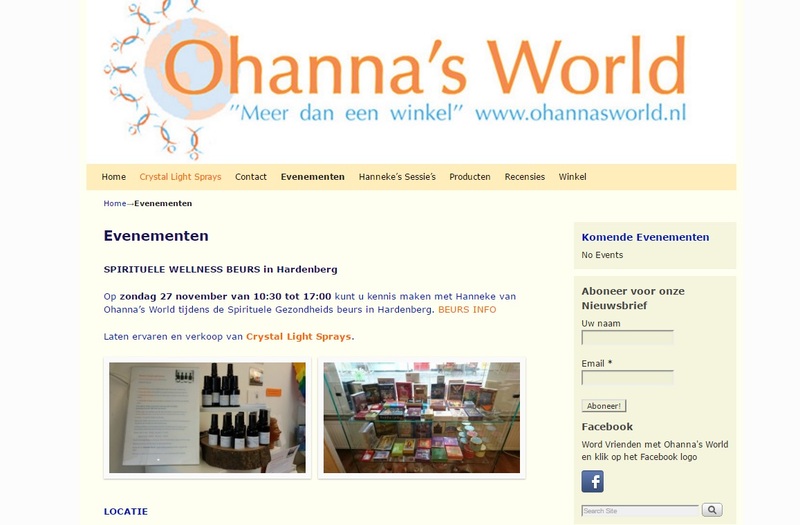 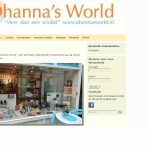 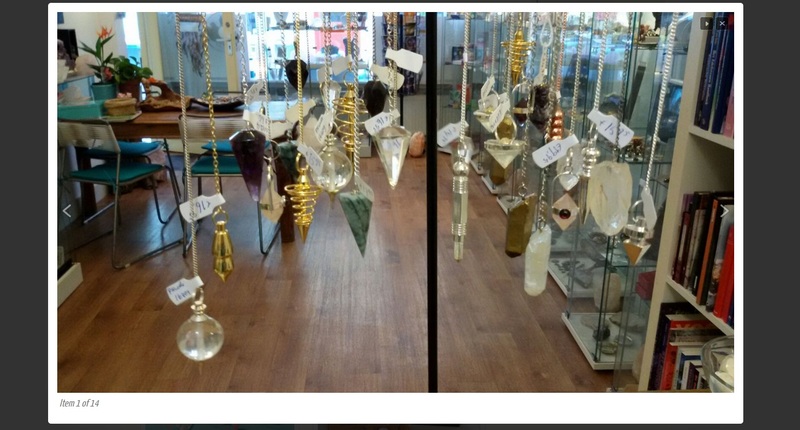 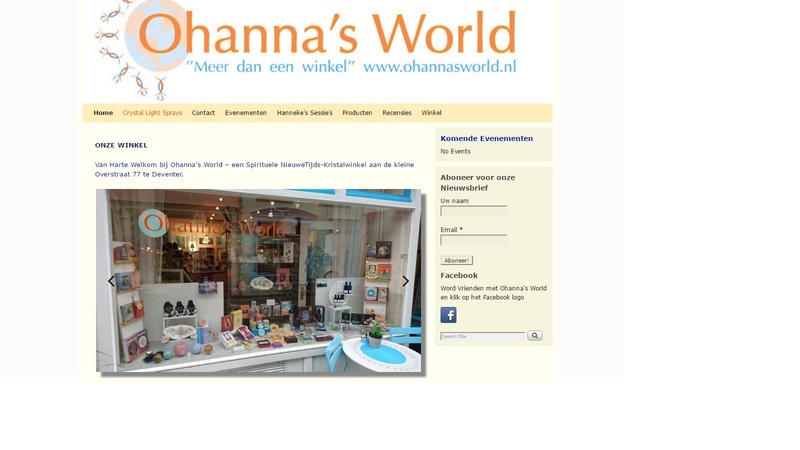 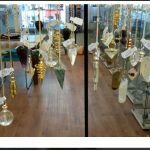 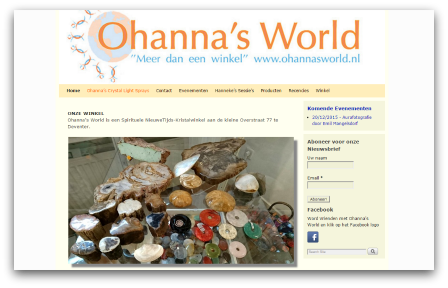 Redesign of the website of the spiritual shop Ohanna’s World with very broad assortment of crystals, minerals, informative books, delicious incense, tarot and oracle cards, you name it. 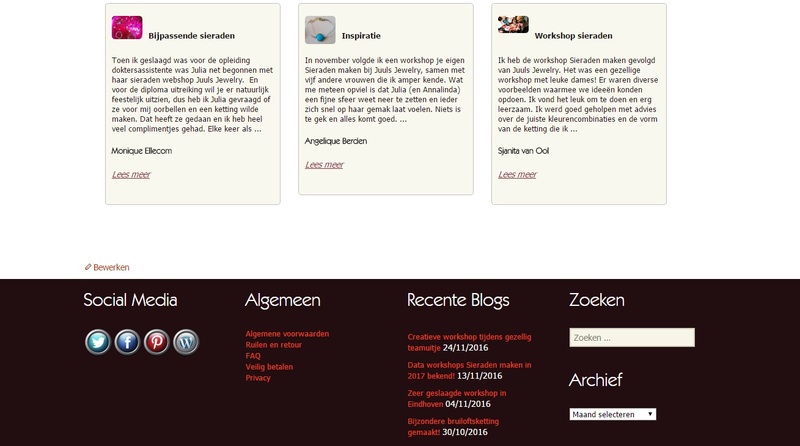 On this site we added newsletter, slideshow, photos messaging- and review page. 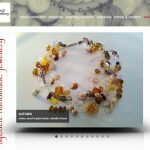 Redesign of website of Robert handyman. 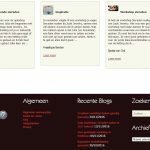 We have expanded this site to 22 pages, about 300 pictures, slideshow, light box and photo galleries. 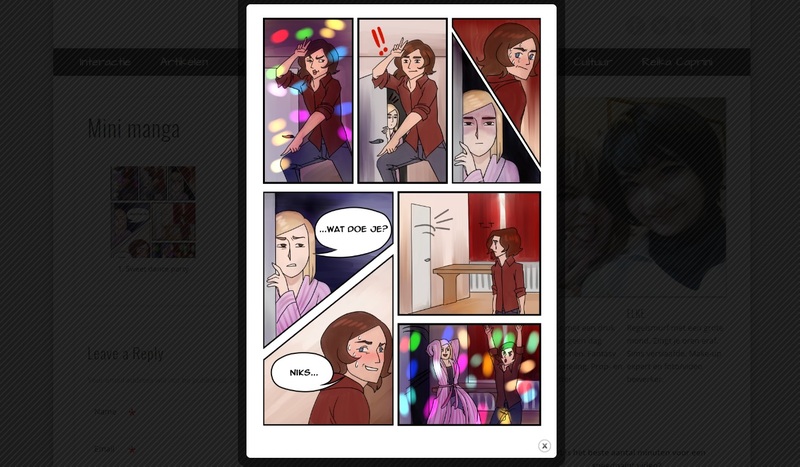 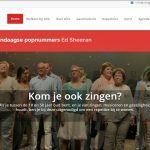 This multilingual site is in Dutch and Polish. 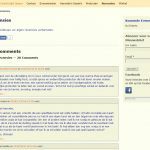 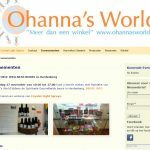 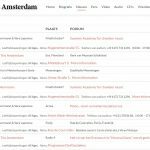 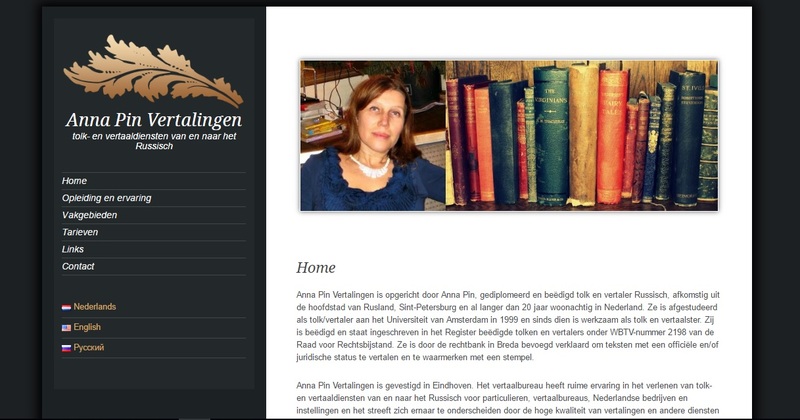 Website of Anna Pin Translations in Eindhoven. 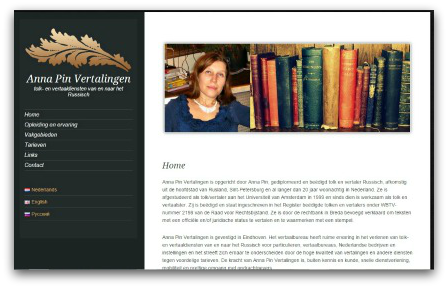 Anna Pin is an interpreter and translator from and into Russian language. 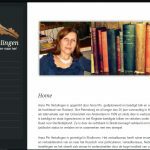 She was sworn in and does assignments for justice, health care, companies, institutions and private persons. 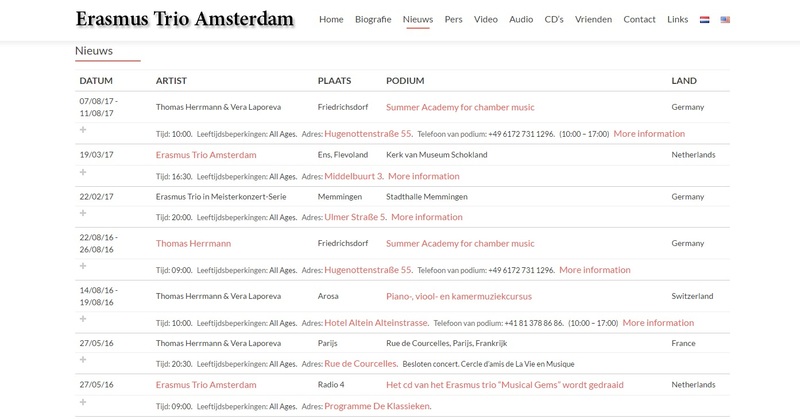 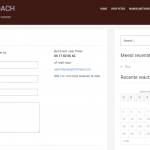 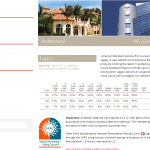 This site is designed in three languages: Dutch, English and Russian. 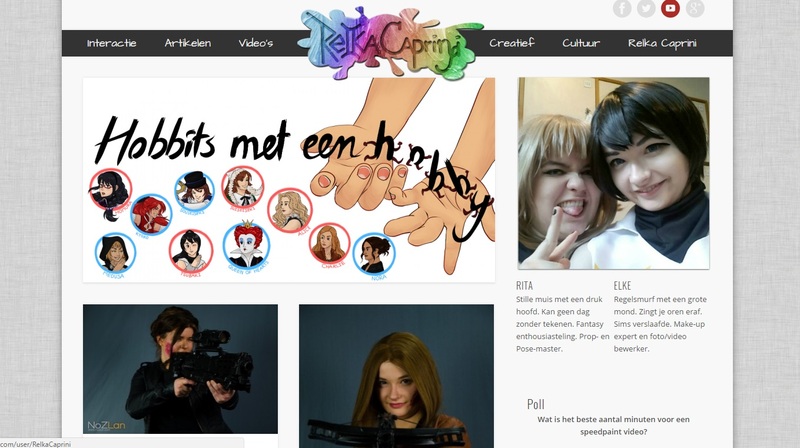 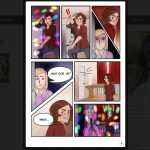 Blog of Relka Caprini. 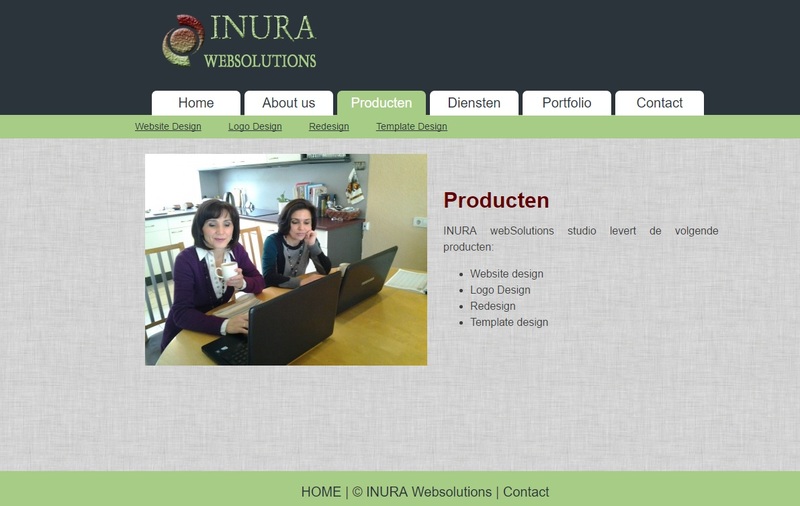 These two young girls are creative and enthusiastic. 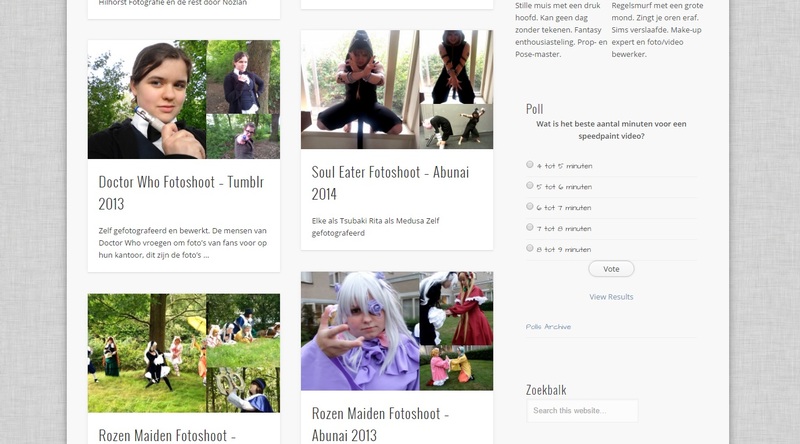 They like visiting cosplay conventions, creating costumes and drawing. 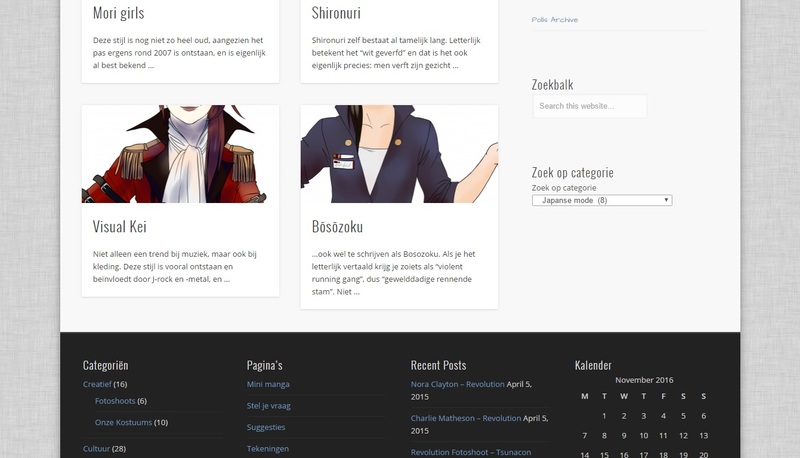 The website was created from a profile project on manga, anime, Japanese culture but has become a comprehensive blog. 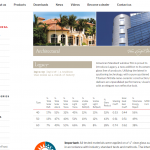 This dynamic site contains many categories and subcategories and is regularly updated. 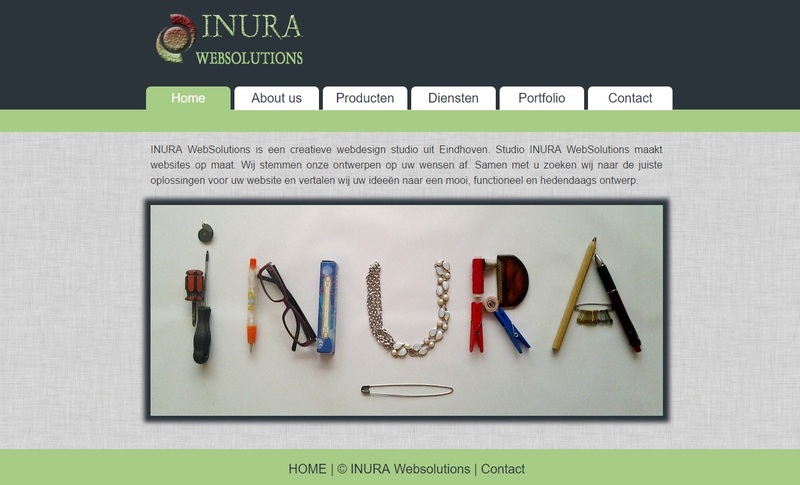 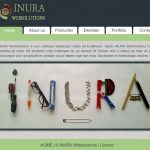 Old website of Inura Websolutions. 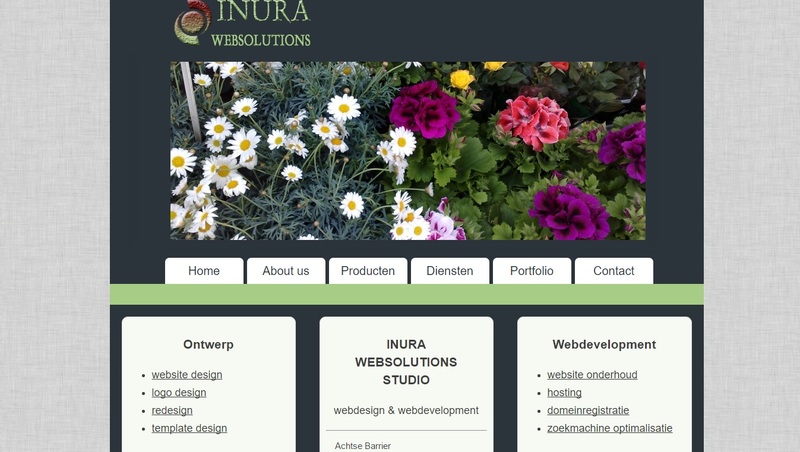 We’ve made this site with a self-designed template. 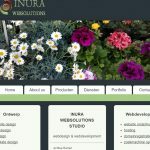 This is one of our first projects. 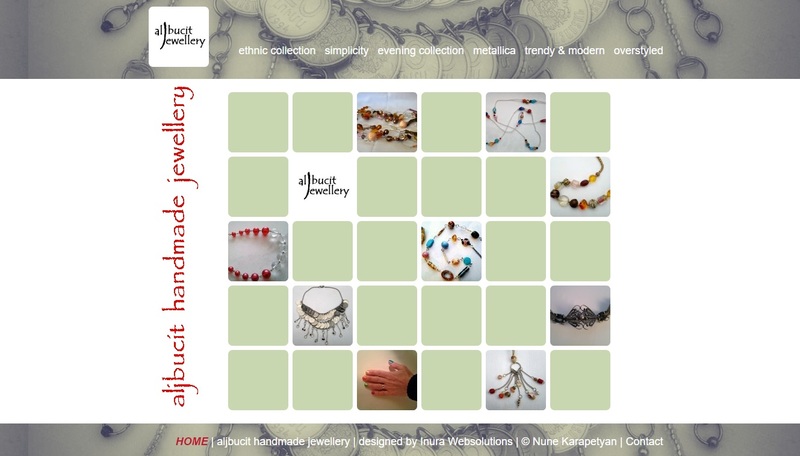 Website about handmade jewelry of jewelry designer Nune Karapetian from Eindhoven. 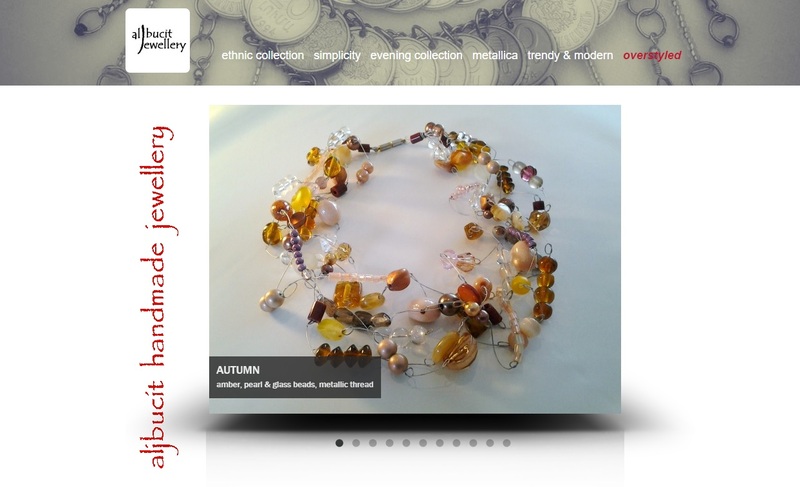 This is a show site with many slideshows and images of jewelry classified into different themes. 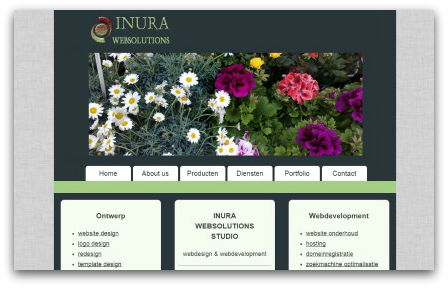 The website can be extended to a functional web shop and multilingual site.